I enjoyed the heck out of it, though IMDB has it circling the drain at an abysmal 5.5. I was seven years old when all this happened, so I enjoyed learning more...plus, I'm a fan of both Daniel Brühl and Rosamund Pike and remain so. 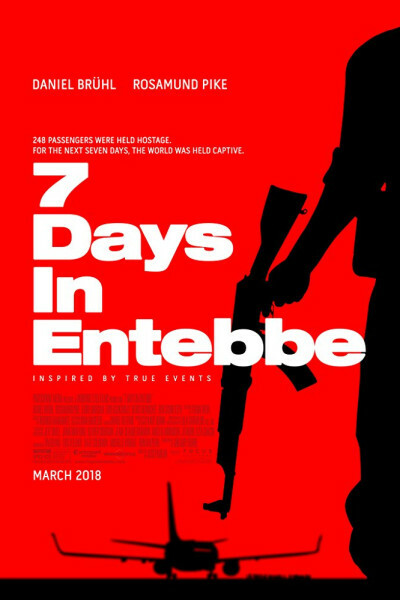 I have long heard of the connection between Yonatan Netanyahu and Benjamin, but it was nice to see it brought to life on screen. Perhaps most fascinating, however, was the (sometimes) odd recurrence of a backstory dance number (of all things)! For the longest time, it was flat-out annoying, but by the end I was riveted. Turns out it's a very controversial interpretation of the Passover standard "Echad Mi Yodea" by Ohad Naharin performed by Batsheva (the Young Ensemble). Check it out for yourself if you're into that sort of thing.